Life Saving Part 1 - Esther M. Sternberg, M.D. There are few moments when it is clear that one stands at the threshold between death and life. And there are even fewer when one has the privilege to be able to pull a life back across that threshold, or prevent it from going over. Even though I am a physician, I can count them on the fingers of one hand. Once, when I was a resident doctor running the emergency room in a small community hospital in Montreal, I decided to admit a young woman to hospital who had what seemed like a simple urinary tract infection. I never fully understood why I made that decision, rather than sending her home with antibiotics. But when her heart stopped beating while we were still completing the admission papers, I knew I had done the right thing. Because she was in hospital, we were able to resuscitate her and save her life. Had I sent her home she would have died on the street. It happened to me again one evening last week. I had been invited to be the dinner speaker at an event in Tucson, and was given the opportunity to invite a few friends. After everyone had filled their plates at the buffet and were settled back in their seats, the hosts began the introductions. I stood quietly off to the side, in front of the audience, waiting for my cue to take the center stage and start my talk. While the hosts spoke, I surveyed the room – about one hundred people at table rounds, with my friends clustered at two reserved tables directly in front of me. 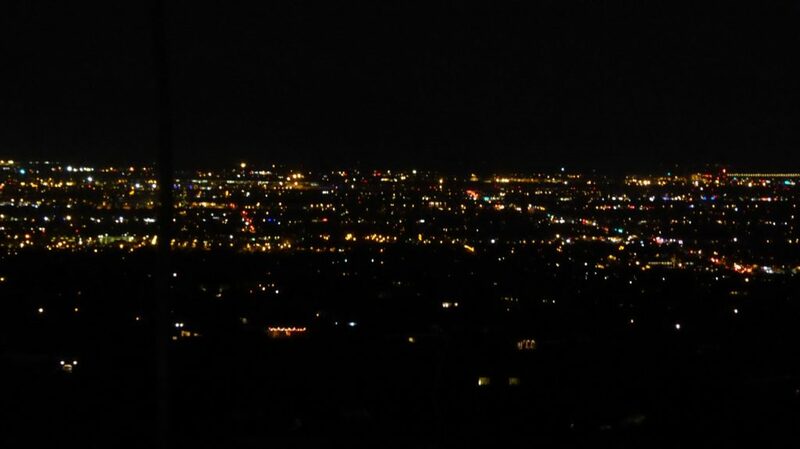 Behind them, through a windowed wall, I could see the stunning backdrop of the city lights of Tucson far below. I was reviewing in my head a new introduction to my talk, recounting how I came to do the research I am doing. I planned to describe that patient whose life I had saved long ago, because she figured centrally in that tale. Then the silence of the room was interrupted by a commotion at my guests’ table in front of me about twenty feet away. I couldn’t see exactly what was going on, but it seemed out of place, especially during the introductions. My significant other and a dear friend at the table both signaled to me to come over, and the host was moving quickly to the spot, even while she continued to hold the microphone in her hand. And then I saw it: another dear friend was slumped over in her seat, and those around were patting her back. I rushed over, slipped my arms around her waist, and gave her a quick yank. And then I gave another. Nothing happened. I wasn’t 100% sure she was choking and leaned in to ask her if she could talk – she shook her head no. I asked if she could breathe. She half turned to me and shook her head again. This time I could see the terrified look in her eyes; her face was pasty white and her lips were blue. I could hear the wheezing in her throat. I knew then that this was the real thing. It had been a long time since I had taken my CPR re-certification – almost five years before. While at NIH we had to be re-certified every two years, practicing resuscitation techniques on dummies, including the Heimlich maneuver to release the obstruction in a choking person’s throat. But, not seeing patients anymore, I hadn’t taken the course since moving to Arizona almost five years ago. When the first two tries didn’t work, I said to myself “I have got to make this work. I will never forgive myself if I can’t make it work.” I re-positioned my arms and grasped my hands together in a fist, this time scooping upwards with all my might. And then suddenly, my friend breathed in and started nodding her head, signaling that she was all right. I heaved a sigh of relief and hugged her close to me. An incredible sense of calm came over me, as if it was pouring into me from above. Then, almost as quickly as the whole event had unfolded, the host walked back to the stage and resumed her introduction. I moved back to my spot in front of the audience and again waited for my cue. I looked at my friend, asking silently if she was OK. She nodded yes and smiled. I blew her a kiss, gave her the thumbs up, and began my talk, still with that sense of calm. My friend had the last word in the question and answer period at the end of the talk. She took the microphone and said “Thank you for saving my life.” I held my hands out to her in a hug, and at some level, hard as it was to believe, I knew this was true.